These 5 CDs and 24-page booklet whisk you off to the worlds of wonder that Disney brought to the 1964 World's Fair. The imagination displayed here foreshadowed what was to come in Disney parks of the future. You'll hear the original It's a Small World demo (Walt himself is your guide for this "charming little boat ride"). 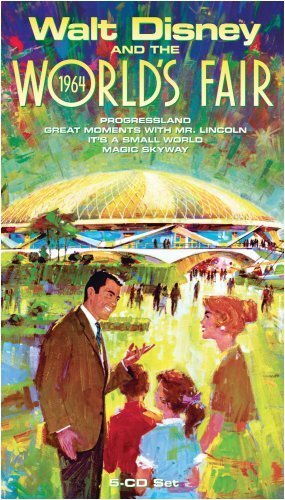 The Magic Skyway takes you from the age of dinosaurs to the ascent of man and into the future (again, Walt escorts you). You'll hear the recording sessions for Great Moments with Mr. Lincoln, hear the music from the Progressland exhibit (including the Carousel of Progress) and more!